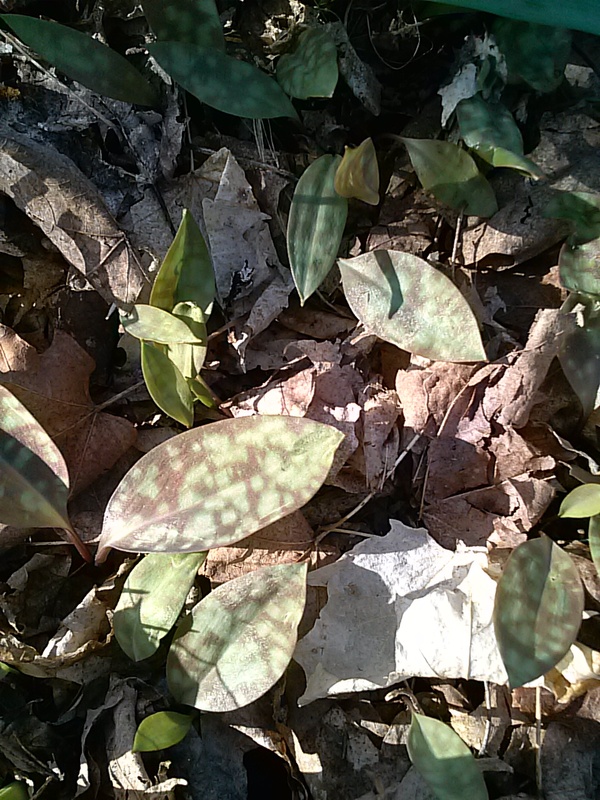 Wild Leeks – the longer leaved plants in this picture. 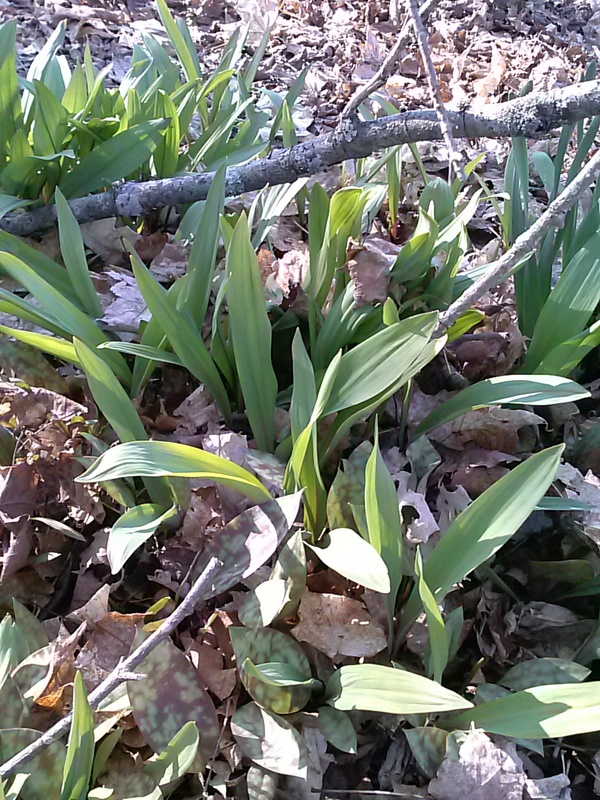 I found out from my mom last year that we had a patch of wild leeks (also called ramps) growing in the woods behind our house. We have a ton of daffodil patches in our yard and the woods surrounding it, and last year I wasn’t really sure what I was looking for. I figured it out this year though because the leaves are quite different. Our neighbor confirmed it for us because he pointed them out to my husband. So I went and picked some, and looked them up online to make sure that they were, in fact, wild leeks. It’s always a good idea to definitively confirm things before eating something that may not be what you think it is. I picked some tonight to cook with dinner, and they are really good. I had read that they taste kind of like a mix between onion and garlic. I fried them up with some pork steaks we had, and they had a nice mild oniony-garlicky flavor to them. 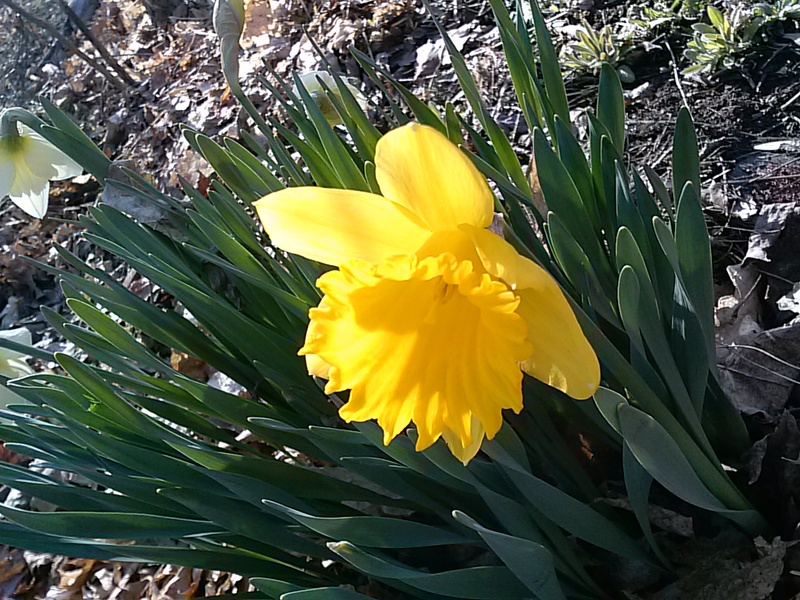 A daffodil in our yard.